Online and telephone counselling services are increasingly in demand as more and more people suffer from stress and mental health difficulties. 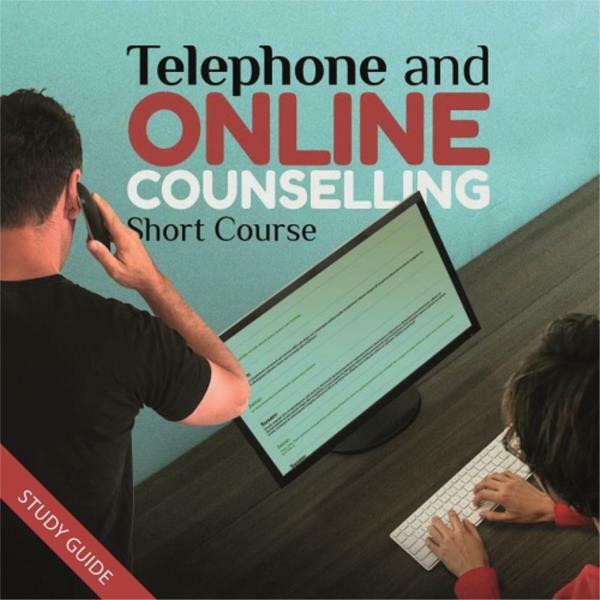 This 20-hour self study course helps you to develop your online and telephone counselling skills. In the modern world, telephone and online counselling is becoming increasingly popular. The skills required in telephone and online counselling are similar to face-to-face counselling, but they are also different. We cannot rely on people’s non-verbal communication, but we may pick up cues from their tone of voice, their speech and so on. This 20-hour self-study course focuses specifically on the skills involved in good telephone and online counselling. This course is ideal for anyone wanting to improve their existing counselling skills or people who would like to learn more about counselling generally. It is also a useful course for anyone wanting to improve the way that they handle online and telephone queries to customers and clients. The course has six lessons. At the end of each lesson, there is a SAT (self assessment test). At the end of the course, there is a further final self assessment test. A pass mark of 66% is required to pass the course. Lesson 1: What is Counselling? WHEN IS TELEPHONE COUNSELLING APPROPRIATE? Telephone and e-counsellors must demonstrate a specific set of skills or competencies. While these overlap requirements for traditional face-to-face counselling, distance assessments of a client’s state of mind is often more difficult. Determine whether a client is a suitable candidate for telephone and/or e-counselling. Identify and manage risk to both client and counsellor in a telephone and/or e-counselling session. Demonstrate clear, adaptive communication skills in working with clients. Establish boundaries and a clear set of rules governing acceptable/unacceptable behaviour in telephone and/or e-counselling sessions. Provide clients with relevant supplementary materials online, particularly therapeutic resources. Clearly and professionally end the therapeutic relationship. Be subject to supervision with an appropriate body. Determining a client’s suitability for telephone and/or e-counselling can be difficult. Some counsellors start with face-to-face sessions but move into online and telephone counselling when clients travel or move. In these cases, trust and rapport are already established, which means distance may give some freedom to the counsellor-client relationship. Counsellors are more likely to interact with clients on their “home turf”. Email arrangements mean the client can write at his or her leisure and take advantage of introspective moods, rather than trying to “fit in” a session or going into a session directly after a difficult period at work or similar. Online or telephone counselling is not for everyone. If you feel a client will benefit from transitioning into online or telecounselling, broach it with them gently. Ensure they are comfortable using technology, and discuss any privacy concerns. If you are starting with a new client, ensure they are comfortable using the phone or the internet. Establish the amount of access they have, and ensure they understand they have a set time period for a counselling session, or a set amount of material to write (e.g. a 2000 word email, rather than an 8000 word email). If using email, be clear about your response time to allay fears. Once you’re sure a client can use the relevant technology, consider the type of counselling required. Online and telecounselling is more beneficial for some issues, like substance abuse. If necessary, look for studies discussing the effectiveness of online or telecounselling in the specific area. This is an essential part of working as a counsellor. It is necessary to ensure you are aware of risks to the client and yourself, physical and/or emotional. When a client's words or actions suggest the potential for harm, it is important to distinguish between self-harm and suicidal ideation or behaviour. If a client has expressed something that suggests the potential for self-harm or other harm, you must take it seriously, and act in accordance with client safety guidelines and reporting in your area. Ensure you are familiar with the limits of confidentiality in your local area. You progress each lesson, reading course notes; and undertaking a series of research or practical tasks relevant to you. These are short learning tasks, related to the topic you are reading. They require you to stop reading and do something a little different, and in doing so you develop another perspective on the subject, which helps to reinforce and strengthen your learning. On conclusion of a lesson; you are presented with a short interactive test to do. This helps you gauge your progress and through revision, further strengthens the learning. On finishing the last lesson, you are presented with a more comprehensive automated examination. This final assessment can be undertaken at any time. On passing this last exam; you will be sent a "certificate of completion" for this course with your name on it. You can start and stop studying at any time - taking as much (or little) time as suits you, to complete your course. You have access to expert tutors through our student help desk at any time you need them. Our school keeps help desks in both Australia and the UK; and has staff on duty five days a week manning phones, online chat and emails. Any questions that you have about what you are studying will be dealt with promptly (usually the same working day, often immediately). If you work with clients or customers online and want to improve how you communicate online or by phone.